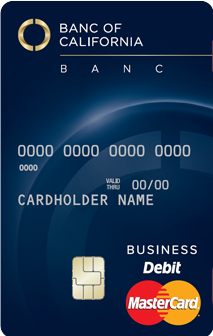 CALL 1-877-420-5514 to activate your new debit card today! MasterCard Airport Concierge™ Provides a Meet and Greet agent to assist with flight connections plus, at select airports, expedited security/ immigration processing. MasterCard Easy Savings® Program Pay with your eligible MasterCard business card and save on the things that make doing business easier. Learn more and register at EasySavings.com. Purchase Assurance Questions? See the back cover or visit bancofcal.com/debit covers most items purchased with your card if they are damaged or stolen within 90 days of the date of purchase. Luxury Hotels & Resorts Portfolio Provides access to a collection of exceptional properties where you can enjoy preferred amenities where available (e.g., room upgrade, early check-in, late check-out, or complimentary breakfast). MasterCard Golf Provides access to exclusive golf offers and experiences, plus Golf Concierge Services available only from MasterCard. Purchase Assurance covers most items purchased with your card if they are damaged or stolen within 90 days of the date of purchase. Online Booking Tool Research and book flights, hotels, cars and experiences online at mastercardtravelservices.com. Personal Travel Advisor Lets you speak with an experienced travel advisor who can guide you to extraordinary experiences. 1. Certain restrictions apply. For details, see the enclosed Guide to Benefits. 2. Certain restrictions apply. See www.mastercard.us/zero-liability for details.